Joey tells Rachel’s secret. We find out a secret about Chandler as well. 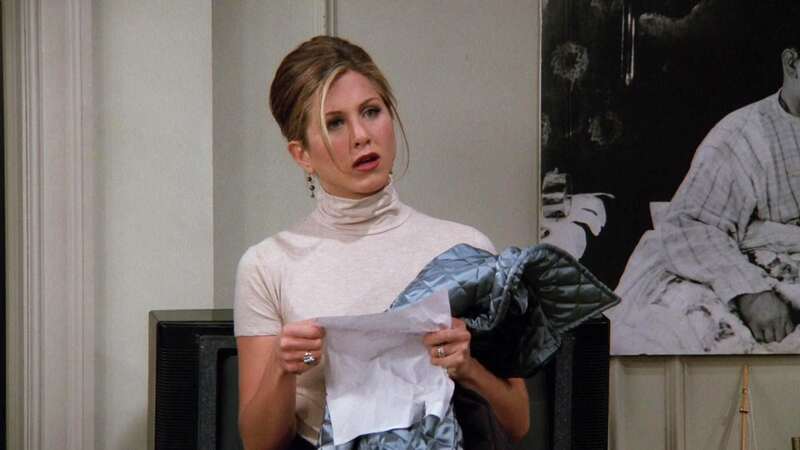 Chanlder helps Ross create a pros and cons list to decide between Rachel and Julie. Monica gets a job creating recipes with a disgusting synthetic chocolate substitute. Monica prepares dinner for the gang, and is upset when they all show up late. Pheobe convinces Rachel to enter Emma into a beauty contest. 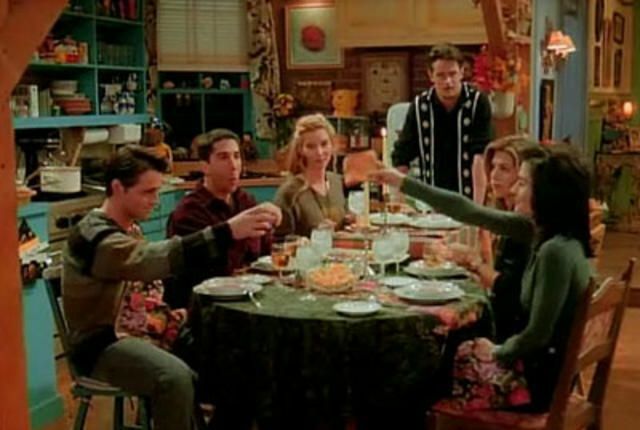 Monica and Ross cook Thanksgiving dinner for themselves, but everyone else shows up. 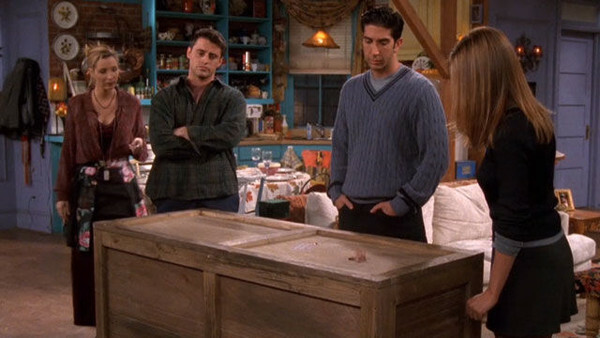 Chandler reveals a mistake he made behind Joey’s back. Joey comes up with an interesting punishment. We find out about a special club in high school dedicated to Rachel. Rachel has a bone to pick with her self-centered sister. 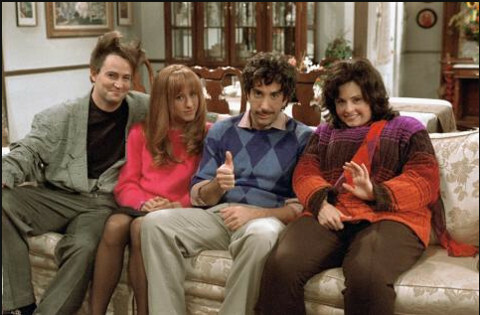 We see the competive side of the Geller siblings which results in Thanksgiving dinner not going as planned. 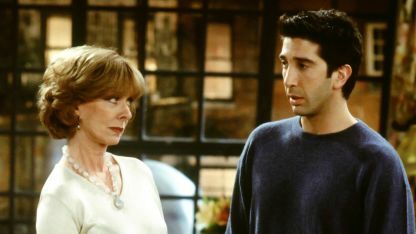 Chandler finds out that Monica didn’t tell her parents they were together, for good reason. 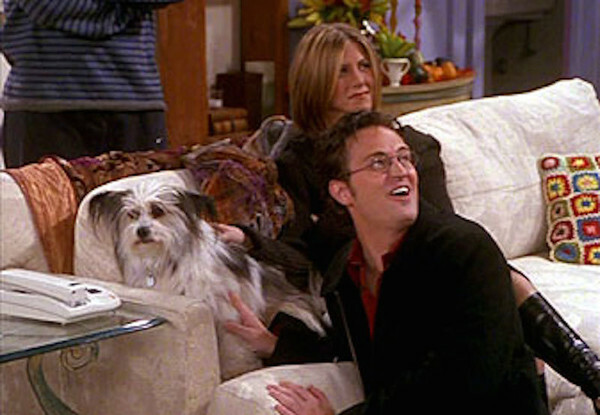 Her parents thought that Chandler was a drug addict.